Revlon ColorStay Whipped Foundation Review + Pictures! 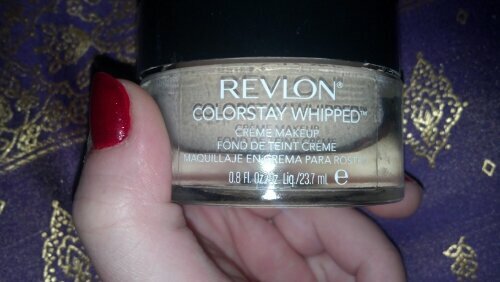 So upon looking for an amazing full coverage foundation, I stumbled upon the Revlon Colorstay Whipped foundation! Everyone here and on Youtube has been raving non stop about this foundation, but I was skeptical. When I went to CVS to check it out, they only had 5 shades. I was very put off and wasn’t sure if it was worth spending $14 on. But thinking about it more I went back to Bed Bath and Beyond, you all know by now I love that place! I used some coupons and got it a little cheaper for $8 on sale. I figured, if it is a total flop I wasn’t spending too much money, and I really wanted to give it a chance. 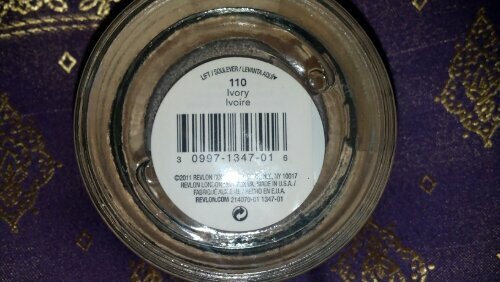 I purchased the lightest shade they have in 110, and to my surprise it matches my skin tone perfectly. 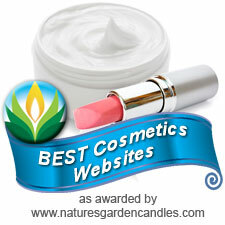 When looking at the product in the jar it first looked too orange and pink toned. But since the foundation is whipped, it blends in with your skin tone perfectly! I was very shocked and happy at the same time! So if they do not carry this foundation is a shade that is light enough for you or dark enough, give the color closest to your skin tone a try! The shades they do provide hoestly can be made to blend in with any color pigmented skin. The nice thing about this foundation is that it is not heavy, cake, drying, or greasy and it is still definitly full coverage! This is the amazing part, if you have dry skin make sure to use a lotion before hand, and if you are oily then make sure to use a primer and set with a loose powder. 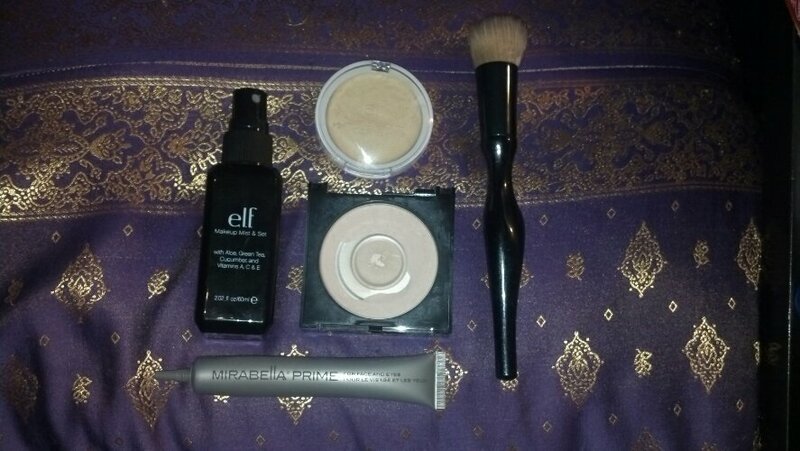 I use lotion first thing, then apply primer, then use my flat top kabuki brush from Sonia Kashuk and work the foundation into my skin, then finish with my pressed powder from Maybelline in Fit Me 110. Most people on Youtube swear by using this product with a beauty blender. Which is great and is a good idea if you have this foundation to try out, if you prefer using beauty blenders. However, since I want my foundation to be very full coverage I prefer to use a foundation brush, instead of losing the product to the sponges when in use. 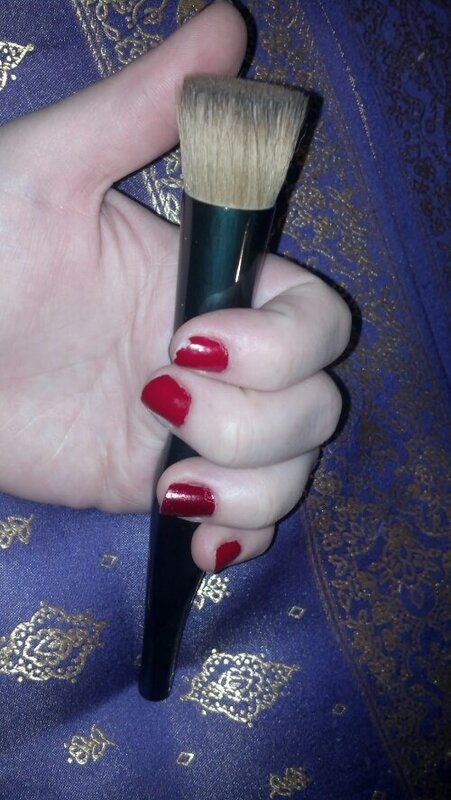 Especially this foundation brush works really well with the foundaiton, and I picked it up at Target for $15. I just put a q-tip (for sanitary reasons) in the jar and dab little dots all over my face where I need the foundation. Then I go in with the brush and blend the product out. At first if this layer does not cover everything that you hoped it would, you can go back in with a little more product, and the whipped foundation is so light it will not cake up and is very build able! The long wear factor is incredible. Most products who claim to be 24 hour coverage, most times are a joke to me when I hear it, and do not take these products seriously. Most products claiming to have this kind of lasting power, will last up to 8 hours then melt off or before that time, and look runny by the end of the night, especially with greasier skin. BUT THIS FOUNDATION, holy cow! I was so impressed when I first tried it out, wore it out, never washed it off that night (because I wanted to test its’ true lasting power. I know you are thinking ew…you didn’t wash your makeup off at night? RIght? But, for real when I woke up that morning, after applying it the previous morning at ten o’ clock, my facial foundation looked just as amazing, soft, dewy, and covered as it did when I first applied it. This foundation because of its’ lasting abilities I would say is amazing for beach days, because it won’t wear off in the high heat, it also remains perfect looking while sweating and working out at the gym. This would be great for a wedding or party, when you don’t want your makeup to go anywhere. The only cons I will say, to be honest, do not affect my feelings about this foundation much. One con is the packaging. Although I love that it is in a nice high quality glass jar, the heaviness of the product makes it difficult to travel with. The shape of the jar is very bulky and after two weeks the inside of the cap broke, and the jar doesn’t close all the way. If I travel I take a small sample of the foundation now instead of the jar. This would be so much better if it was in a pump bottle, because not only is it heavy and bulky it is also unsanitary when it comes to dipping your brushes or fingers into it during application. This can also lead to it being messy. Besides those cons, and the lack of shades they carry, all in all, this is one of my favorite foundations easily! 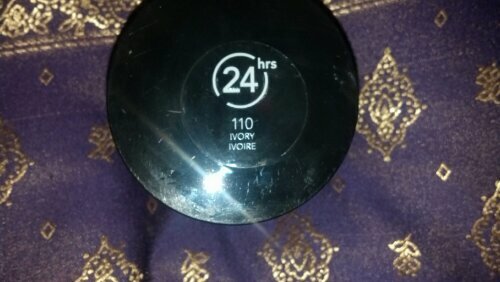 I almost like it more than my Kat Von D foundation from Sephora, Because this is so much more easily blended and looks amazing all day and night long. I would definitely recommend this to anyone and for most skin types. This is a great product to have in your collection for days where you want your skin to look flawless, and last a very long time with out having to re-apply.